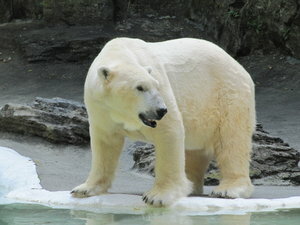 Polar bear in the the Bronx Zoo, New York, USA. Great shot. Will use in an article about the diet of bears. Thanks!